Live does lighting. 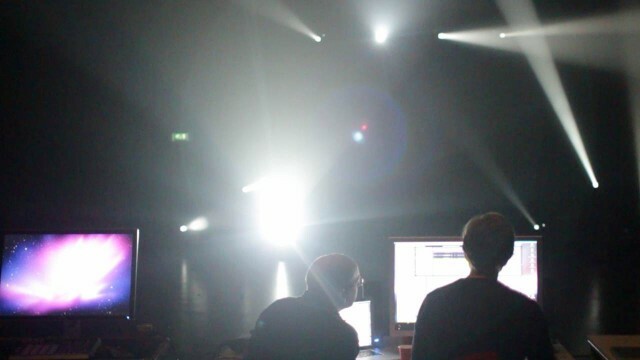 Mattijs and Michel working on lighting compositions in Ableton Live. All photos courtesy Mattijs Kneppers. 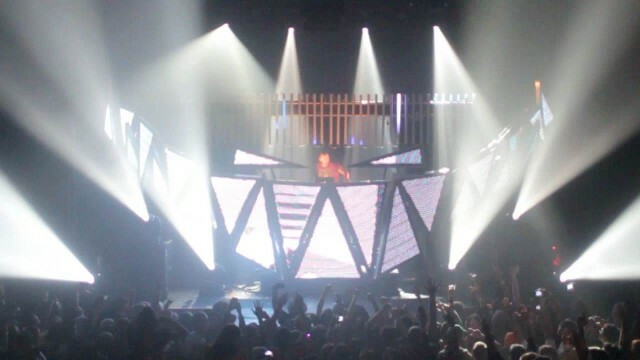 Spectacular spaceship showmanship, or actually synchronizing live electronic dance music performances? For Feed Me, aka Englishman Jon Gooch, the show had to be both. 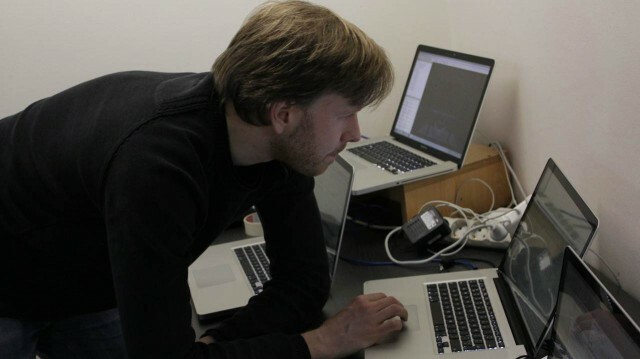 Software developer Mattijs Kneppers harnessed Ableton Live, Max/MSP, and Max for Live to make it all work. You may have seen the video; Mattijs gives CDM a unique look even further into how this is working, sharing a gallery of the stage rig and some of the technical details. CDM: So, of course, this was the summer that brought “press-play” performances into the public eye – and we’re actually I think indebted to deadmau5 for blowing open the discussion and talking about what’s really happening. One point that came up was that people are concerned that you can’t do this sort of big show with lots of visuals and keep everything running smoothly. deadmau5 specifically mentioned SMPTE [the clock signal or timecode standard often used with visual elements]. How did things work here? Mattijs: “We all hit play”; this is exactly the problem that we wanted to solve. Jon builds his performances live, with separate audio tracks and segments, with live effects, free improvisation, etc., so every gig is different. As an example, he is completely free to change the tempo and the show tempo will change too, which is pretty much impossible if you use timecode or SMPTE. Especially the concept of mixing layers of lighting composition in real-time was quite new for us. Video layers can be blended easily, but for lighting, we spent some time finding an approach to be able to mix in a meaningful way. 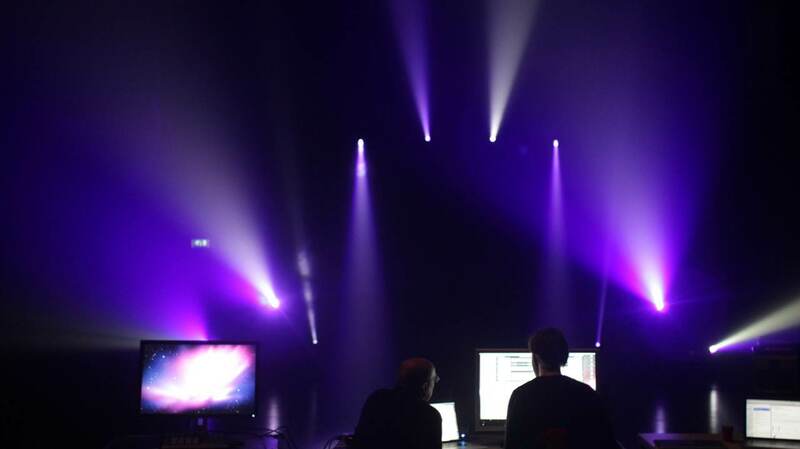 The system is built around Max For Live and OSC [OpenSoundControl]; we didn’t want to juggle with MIDI data and equipment, and also, an audio performer shouldn’t have to worry about triggering lighting or video patterns alongside his audio clips. 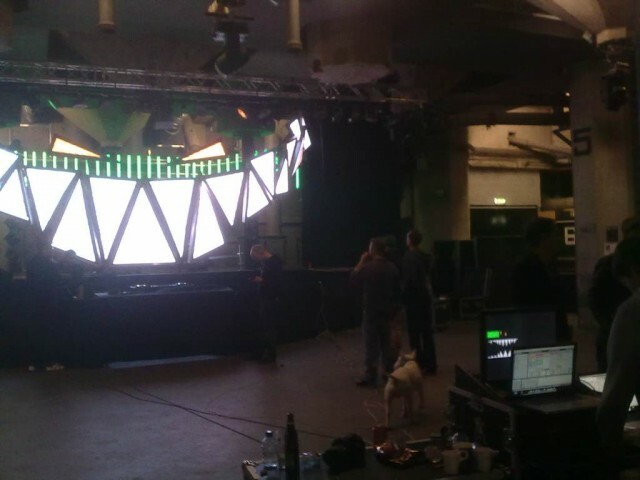 Basically, there are a few devices in his live set that send everything he does on stage to the computers in the Front of House and the sync software then matches video and lighting to what he is playing at any given moment. The MFL devices are a bit like LiveGrabber (livegrabber.sourceforge.net), only with extra tricks for low-latency synchronisation rather than direct event based control. To be honest, we did need some creative hacks to overcome limitations in these early versions of Max For Live, but luckily, we had great support from the folks at Cycling ’74. Feed Me recently cooperated with Sober Industries and Studio Rewind to produce a remarkable Live show, displaying innovative lighting and video concepts and most notably a giant set of synchronized Teeth. Learn about Feed Me as a character, and get a peek into the artistic and technological challenges solved in the process of developing this show from a sketch to a fully realized concept. 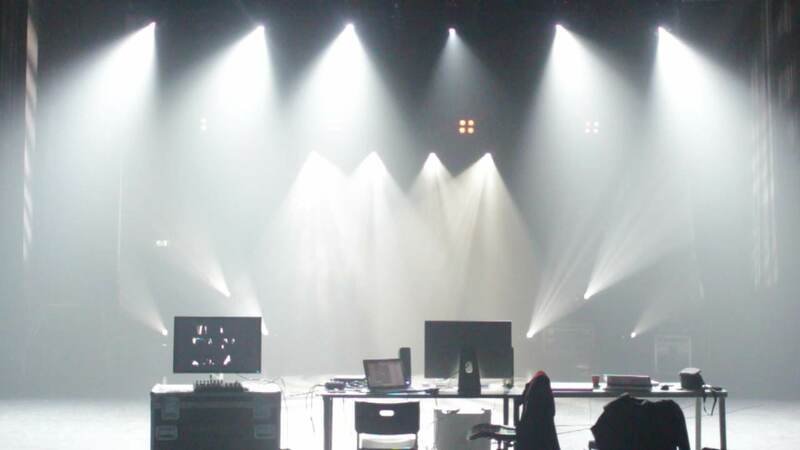 This includes designing the giant custom LED teeth, creating the beat-accurate video and lighting content and building software to synchronize all show systems to Feed Me’s Live stage performance. Using Ableton Live to control lighting. The whole rig is run in software. Spotted: APC40 controller from Akai. 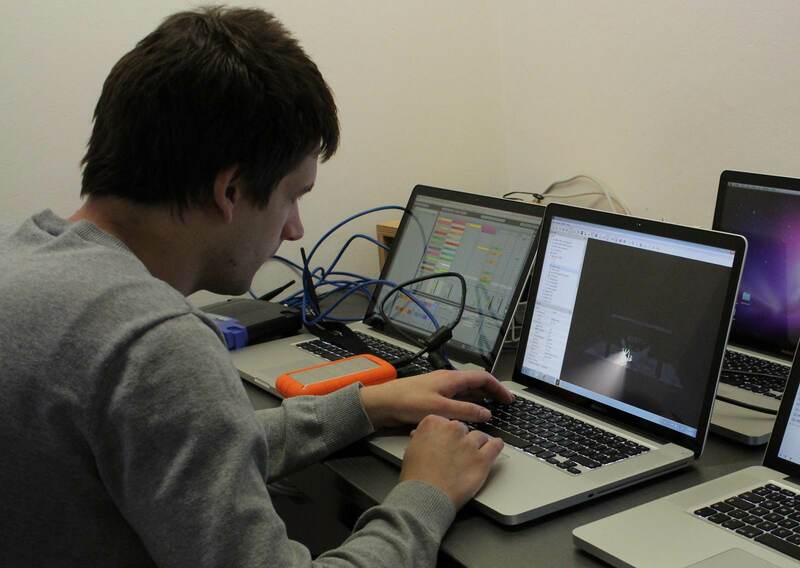 Software developer Mattijs checks the setup. 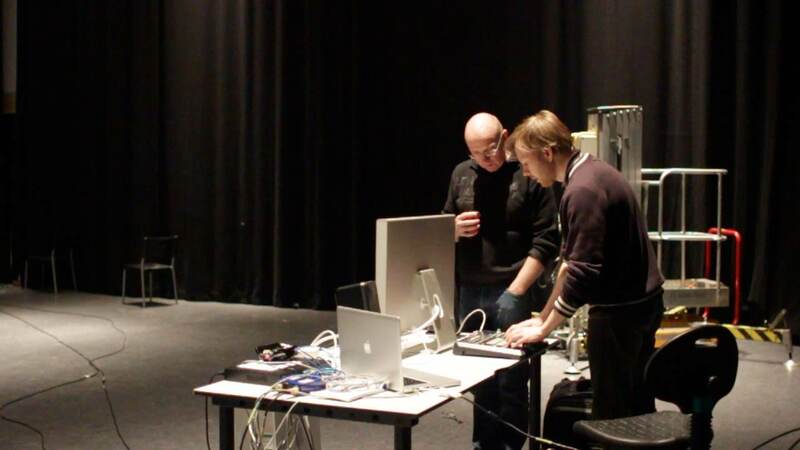 System test in the rehearsal studio.